These high quality, affordable composite French doors provide a simple yet highly effective exterior door solution for modern and traditional properties. 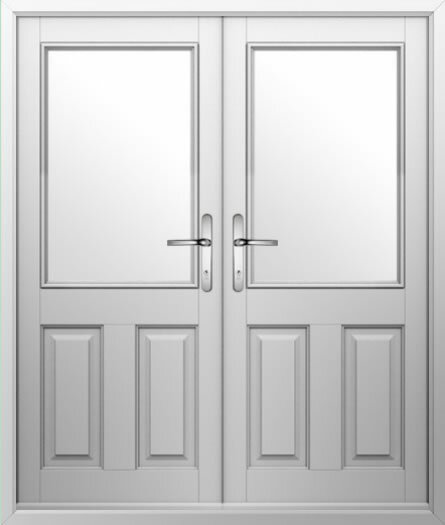 With 2 small panels and a large window on each door, these composite French doors provide double the natural light, making them ideal for brightening up a dark lounge or dingy kitchen space. Available in a range of colours, you’ll be able to complement your existing décor with no problem!